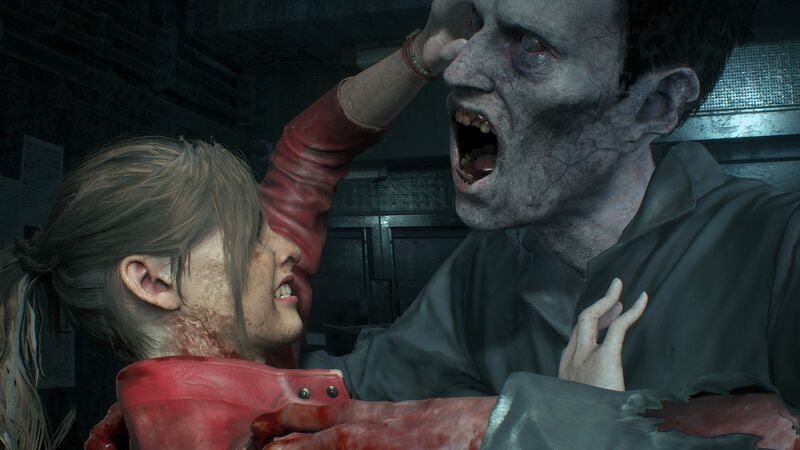 A new batch of Resident Evil 2 screenshots show Claire fearlessly exploring, fending off attacks, and taking on Lickers in 4K. These images also show off Leon and the game’s environments. These screenshots have arrived alongside numerous outlets releasing new gameplay videos that extend beyond the demo(s) we’re used to watching. Even two Capcom UK community managers recently got in on the Let’s Play action, tossing in commentary as they answered questions people had in the chat. Visually, it’s clear this game has come a long way since the original Resident Evil 2 released in 1998. While you can expect plenty of iconic moments to reappear, there will be a few surprises. For now, take a look at some stunning stills of what you’ll be experiencing when Resident Evil 2 releases this winter. The look and feel of Resident Evil 2 will be so different from the original, Capcom actually rejects the term “remake.” Although it’s been confirmed that its story and set pieces will be familiar. You can find out for yourself if this game is a smoother, high res trip down memory lane or something so fresh it becomes its own game entirely when Resident Evil 2 releases on January 25, 2019 on the PlayStation 4, Xbox One, and PC.